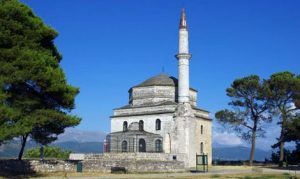 The largest city in the geographical region of Epirus is the city of Ioannina .Epirus occupies the N.W corner of Greece and it is mostly mountainous. This little known region of the Greek mainland has the world’ s deepest gorge , Vikos gorge. The whole region combines the beautiful landscapes, the rivers and the forests, the tradional stone bridges and villages but also to the West, the Ionian sea with the attractive beaches, lagoons and popular summer resorts. 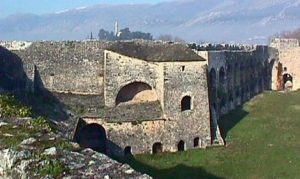 The biggest city and the capital of Epirus region is Ioannina ( Yannena) , the economical , historical and spiritual center of the prefecture. 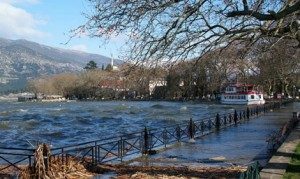 The town of Ioannina is located 450 KM northwest of Athens , 290 km southwest of Thessaloniki and 80km east of the port of Igoumenitsa in the Ionian sea. This town with the long history, the myths and the traditions fascinates the visitor and calls him to discover its past and present. 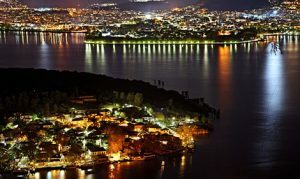 The modern city of Ioannina spreads out around the beautiful lake Pamvotida. The lake with its still waters and its small island , it is a natural monument, which must be visited. There are old monasteries and churches on the island but all the atmosphere that offers to the visitors is something not to miss. The old castle of the town is one of the highlights. By Visiting the castle people can travel through the history of the town and visit muslim monuments and the old synagogue and the House of Pasha Kalou and the Turkish baths. There is also Its Klale, the citadel where visitors can go to the Fetihe Mosque, the tomb of Ali Pasha and the Byzantine museum. 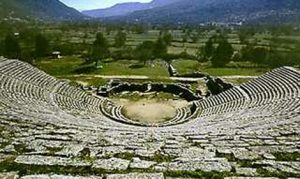 And definitely visitors of this region should spend time for visiting the archaeological site of Dodoni, the ancient oracle and the theatre, as well as the cave of Perama, one of the most important in the whole of the Balkan peninsula.